This site is based on my daily practice of traditional Shotokan Karate-Do here in Oita City, Japan. More than anything else, unlike the majority of other karate-do websites, this page is primarily dedicated to training itself; that is, Karate-Do as a vehicle for holistic development. By request, here is a brief rundown on what I'm currently doing in my self training. I’m currently focused on the new Dan Examination Kihon. The focus of these kihonwaza are not only for testing examinees but, actually to really increase their skill level. This new approach and system is already causing positive effects. Coming from an education background, I majored in education at the University of Canterbury, I wanted the syllabus to primarily be a mechanism for martial arts technical development and increased effectiveness: not just a set of moves/combinations that one needs to pass tests. In sum, I want karateka to be the best they can be, and the new kihon syllabus actively functions to do this (in the preparation for tests and throughout one's karate lifespan). I’m currently going through all 65 of our official kata. Rather than exhaust you with the details, yesterday was Junro Shodan (—I will possibly write more about this very soon), Bassai Dai, Gankaku, Chinte, and Raiko. Today was Junro Nidan, Hangetsu, Enpi, Bassai Sho and Nijushiho. My training focus, in all kata, is always from my late Sensei’s advice; and accordingly, at present, mainly ‘technical/application—initiation’ is the top priority of my kata practice. 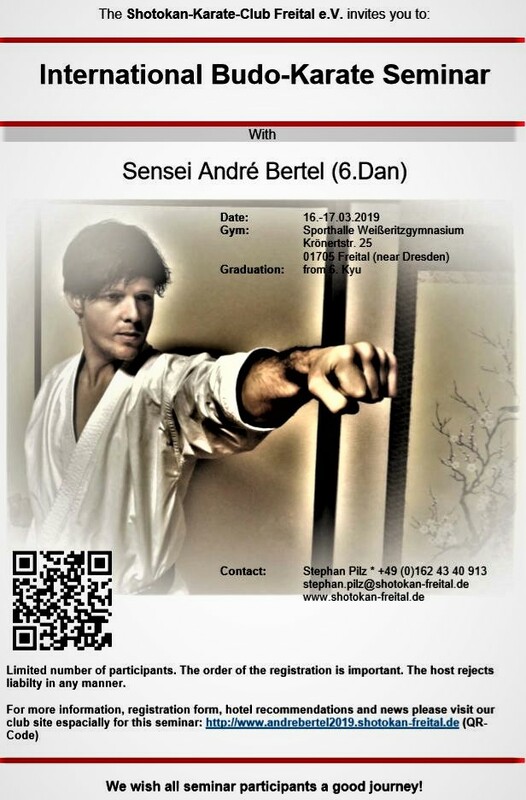 Later in Halle, Deutschland this year, I will unveil a higher level of karate from Sensei, and in 2020 and beyond, this will expand further. Kata is at the soul of this process as it serves to transmit critical martial arts knowledge from the past. That being said, kata is useless unless it directly enhances one's self-defence capacity. Like kata, I’m presently reviewing all the forms Kumite training. Decisively understanding and properly all forms of Kumite training is imperative to maximize training time. Today I worked on advanced Kihon ippon and Jiyu ippon Kumite. These forms of training underpin the core 'basics' of maximum power transfer—foundationally speaking. Kihon Ippon and Jiyu Ippon work together to achieve this target, therefore, are essential elements of optimal karate training. Away from this broad daytime practice, my current socho-geiko (morning training) is still, of course, ‘specializing’ (tokuiwaza, tokuigata etc...) as usual. Greetings from Sakura covered Japan. © André Bertel. Oita City, Japan (2019). As promised, here is a video of 鶴翼初段 (Kakuyoku Shodan) kata performed slowly. This was filmed yesterday prior to my training. It is primarily for seminar attendees. I hope that this video helps you to review the key points covered and, consequently, results in your increased technical effectiveness. Best wishes from Oita City, Japan. Brief seminar video, as a very subtle reminder of key underlying key points I taught, during the Freital 2019 Seminar. These points generically cover one of the dimensions imperative for street effective karate - irrespective of ryuha/kaiha; that is budo/bujutsu karate. By the way, we'd like to hear feedback on the seminar!! Video comments are always very appreciated. Click on the link below for another excellent and fun article (in both Deutsch and English). Many thanks to Oliver Schömburg Sensei!! A drone was used by the host club to capture images. Here is another excellent summary of the Seminar, in Deutsch, by Andrea Haeusler Sensei (Karateschule-Muenster). 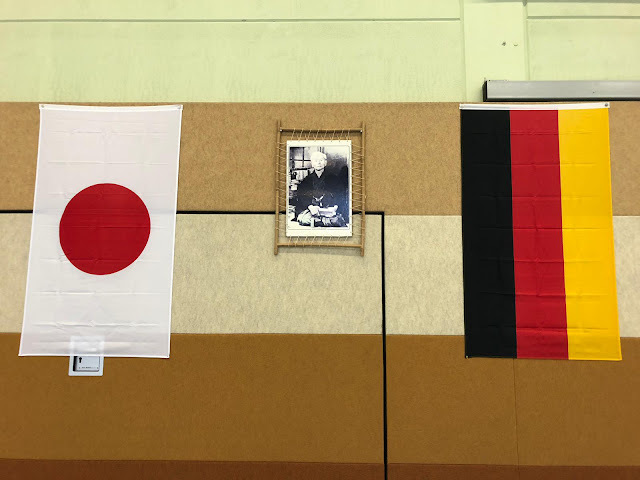 Here is the official report on the Freital Seminars—in Deutsch—composed by Andy Nietzold Sensei, including the two official videos and numerous photographs. Firstly, to the main organizer of the seminar and my host, Stephan Pilz Sensei (3rd Dan), also his lovely family, who took very good care of me. Secondly, Andy Neitzold Sensei (2nd Dan), who also administrated the seminar; furthermore, translated, amongst other things. Thirdly, Marco Herrmann Sensei (3rd Dan) who was the seminars MC). Fourthly, the members and families of the Shotokan-Karateverein Freital e. V. club. 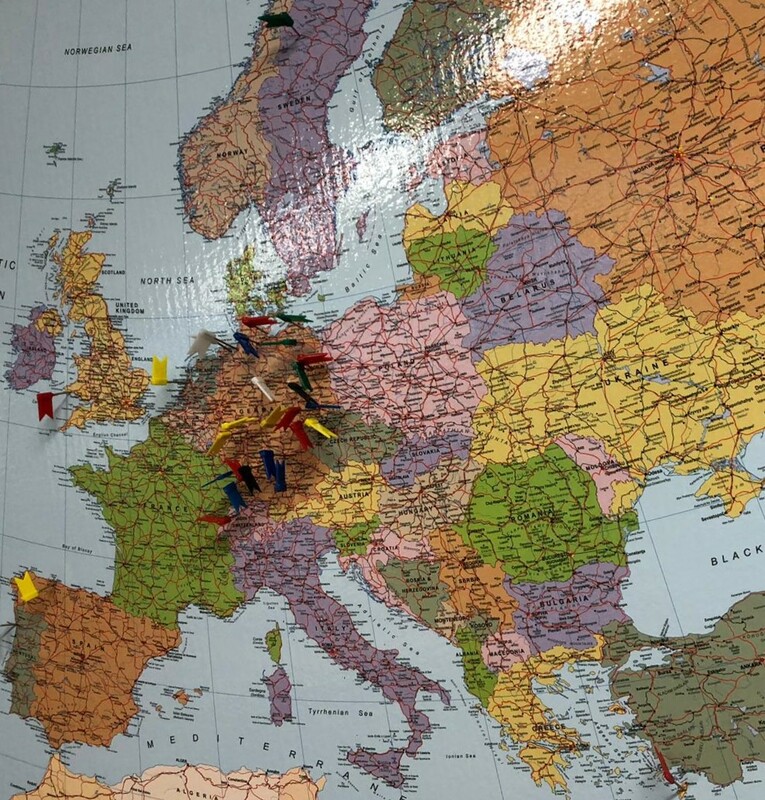 And fifthly, all of the karateka from across Europe whom attended. A big "OSU" to you all from Oita City, Japan. 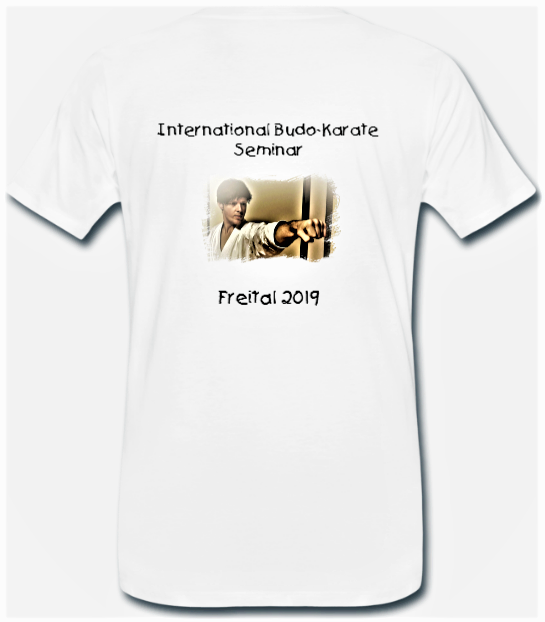 Official T Shirts from the 2019 Freital Seminar. Click on the newspaper report to read. Finally here is some video footage from my 2019 South Africa International Seminar. Please note the video footage has been cut in a way which allows the seminar participants to see key points (hints/reminders), without revealing too much. Why? Because that knowledge is for those who came and trained! I must add that a couple of important foundational points of Budo/Bujutsu Shotokan-style karate, are shown clearly; nevertheless, again, without attending, these could still easily be taken out of context and trained in a counterproductive manner. It elucidates the old saying: 'Practice doesn't make perfect' but, rather, 'Perfect practise makes perfect'. Many people have asked me about commenting on my videos. In sum, I really appreciate comments as they confirm people's interest and, in turn, they really encourage me to post new footage. Again, as stated above, the videos often reveal things subtly (that is, only those who have trained with me in person WILL UNDERSTAND). Moreover, as training continues, deeper levels will be revealed to these karateka; thereby, resulting in continuously increasing levels of technical skill and increased effectiveness/application. Lastly, I would again like to thank Gary Grapentin Sensei and Maureen de Jager Sensei, and all of the other instructors, and members, of USR (United Shotokan Ryu). Indeed, I also extend this thanks to all of the other wonderful people, who attended, from other karate groups. I have a term 'Karate Family', which is what I believe all authentic traditional/budo karateka are. For me personally, it was great not only to teach karate outside Japan—which is always a great honour, but to also catch up with old friends and forge new friendships as well. I am very positive that this year’s seminar in South Africa will lead to an immense amount of technical growth there – for those who practise what was covered. One of the group photos from the March 2019 South Africa Seminar, hosted by USR. - Photos courtesy of Maureen Sensei. United Shotokan-Ryu (USR) is an independent Shotokan group which was formed in South Africa during 2018. USR currently comprises eighteen different dojo situated in various towns and cities in the provinces of the Eastern Cape, Western Cape and Gauteng. The Union is run by a working committee overseen by Gary Grapentin who holds the position of Chairperson. Other senior members include Alta Venter and Kenny Tawse. USR’s priority is to preserve the practice of Shotokan Karate in South Africa as a true form of Japanese Budo. In order to achieve this, world class Shotokan instructors who focus on Budo are brought to South Africa to conduct seminars on an annual basis. Not holding an international style-affiliation enables USR greater freedom in accessing some of the world’s most talented and highly-regarded contemporary Shotokan Karate Masters. Space permitting, USR International Seminars are open to all Shotokan karateka irrespective of affiliation. USR embraces the opportunity to build friendships with karateka from other Shotokan groups and karate styles. USR recognises the need for transformation, specifically within a South African context, and strives to support members from previously disadvantaged communities in their practice of Shotokan Karate. In terms of community and social development, karate training is offered in Alicedale, Joza (Makhanda) and at the MTR Smit Children’s Haven in Port Elizabeth. 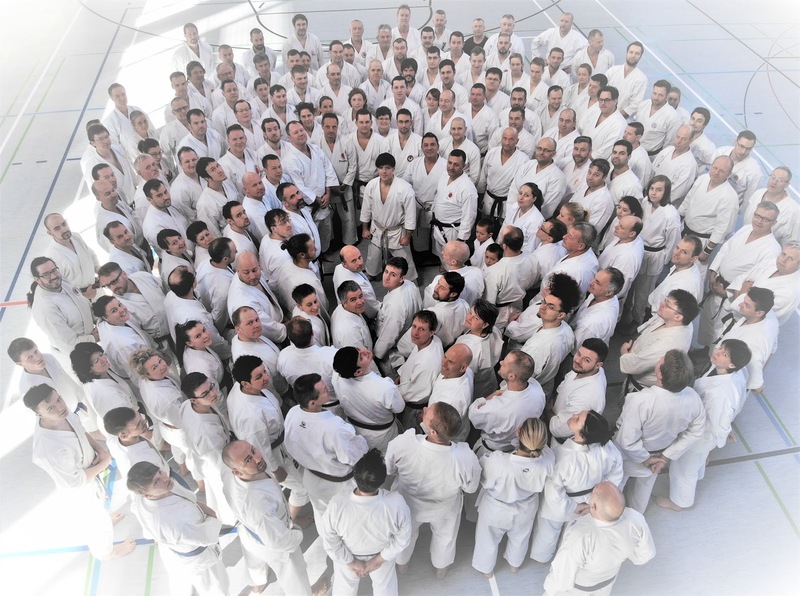 USR believes in equal opportunities for its members, irrespective of race, culture or gender and prioritises an investment in the next generation of karateka. My name is Andre Bertel. I am a New Zealand born karateka who lives in Oita City (Oita Prefecture, Japan). 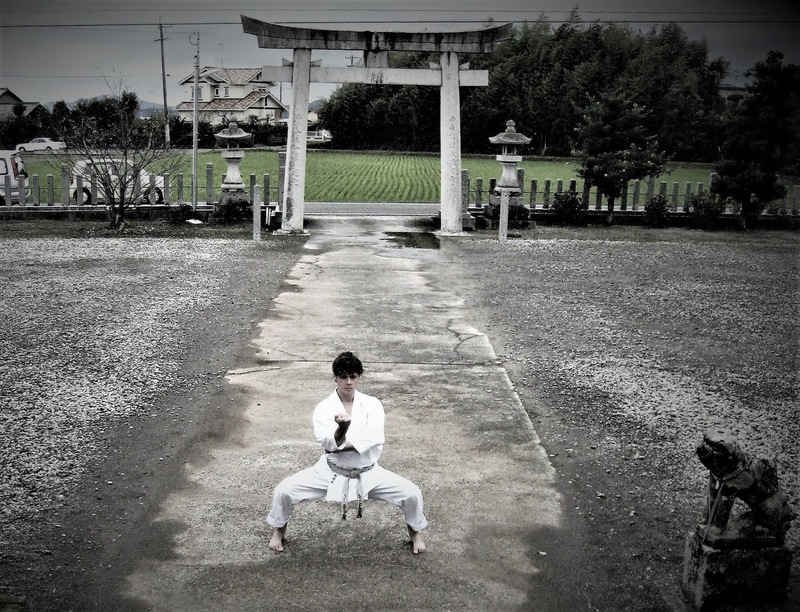 I've practiced the Shotokan style for many years, spending much time here in Japan, seeking to improve my skills and understanding of authentic Karate-Do. I was a student of the late Asai Tetsuhiko Sensei. While I may never reach a high level in Karate-Do, I endeavour to do my best via daily training. Furthermore, I believe in promoting the true 'traditional Budo Karate' of Japan, which has and continues to be seriously undermined worldwide: especially in the West. I am in deep gratitude for the wonderful friendships I have made worldwide, as an instructor, and as an ongoing student of Karate-Do. Overall, Karate-Do has been my way of life, and is something I live everyday.